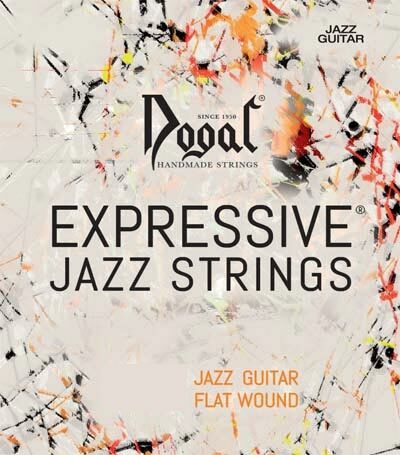 The Expressive Jazz elecric guitar strings from Dogal have a warm tone that's more lively than you typically get from flat wound strings. Dogal makes them from a carbonsteel alloy that's wound on a round core. The string ends are wound with cotton to avoid buzzing. Dogal strings are hand made in Venice, Italy. Strings By Mail is proud to be the U.S. distributor for Dogal guitar and bass strings.